Despite Hollywood’s mainstream dominance, there was a time when Soviet directors pioneered what would later become some of the most influential and fundamental techniques used in cinematography to this day. We take a look at five ways Soviet directors changed the art of cinema. Russians fell in love with the art of film early on. The first Russian dramatized film dates back to 1908, making Russian cinematography one of the oldest in the world. By 1913, Russia had over 1,300 cinemas and had produced more than 100 films, greatly influencing European and American filmmaking. As the revolution progressed early in the 20th century, many Russian directors emigrated, leaving Russian film in a state of turmoil. This, however, would not last for long. Lenin proclaimed: “Cinema, for us, is the most important of the arts." By 1919, the movie industry was nationalized, and soon after, the world’s first film school was created - Moscow's VGIK. 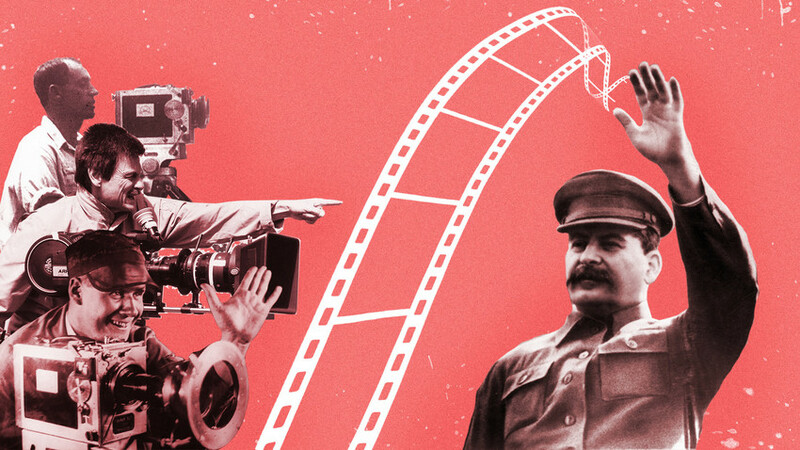 The Soviet leadership embraced film as the main method of communication with the people, encouraging the creation of more realistic movies portraying themes from everyday life. Filmmakers were told to break with conventions, creating new ones that could support the communist society. This, combined with the lack of film stock at the time, were important factors that led to the development of new film theories and editing techniques. Documentaries were a central part of early Soviet cinema. The Soviet leadership, spearheaded by Lenin, gave creative freedom to filmmakers, paving the way for some of the most influential film theorists to date. Although there was relative freedom to experiment, one thing was made clear, films should be made for and about the common man. The artist, after all, should see himself as an engineer, another worker. Dziga Vertov was an influential voice in promoting “socialist realism” in cinematography, ultimately changing the way we look at documentary film. When filming the 23-part Kino-Pravda (“Film-Truth”) Vertov used everyday situations, often filming people unaware as they went about their everyday lives. This way, Vertov believed he could create a closer relationship with the audience while removing what he called the “bourgeois focus” of pre-Soviet era films. In fact, so close was Vertov's relationship with the audience, that he even added his contact information at the end of every episode. His most famous work, Man with a Movie Camera (1929), was a self-reflective film, showing the art of film production. His “raw” style of filming of his subjects would later inspire the influential French 1960s movements “Cinema Verite” and “Nouvelle Vague". In more recent times, director Steve McQueen named Vertov’s work as inspiration for the Academy Awards winning movie 12 Years a Slave. With what resembles more of a psychological test than research into film theory, Lev Kuleshov proved an important point on how montage is perceived by the audience. The now iconic montage, depicting a man with seemingly no apparent facial expression, intercut by three different scenes - a bowl of soup, a dead child and a beautiful woman - left audiences bewildered. When asked to describe the man’s facial expression, the description almost always corresponded to the adjacent image (see video below). This demonstration allowed Kuleshov to show that it was the way that images relate to each other that create meaning, not the image itself. This would change the way filmmakers perceived montage forever, with similar demonstrations being repeated by the likes of Alfred Hitchcock. From inspiring scenes in Coppola’s iconic Vietnam War film Apocalypse Now (1979), to De Palma’s classical mob movie The Untouchables, Sergei Eisenstein’s Battleship Potemkin is undeniably one of the most influential movies in film history. Through intellectual montage, Eisenstein portrayed complex ideas by seemingly unrelated scenes. This is particularly noticeable in his famous movie Strike (1925), where he cuts back and forth between the slaughter of a bull and police attacking workers. The metaphor is simple, yet strong - assaulted workers equal slaughter. This technique has since been repeated countless times to similar effect. Soviet director Andrei Tarkovsky was often called a visual poet. He is widely considered as the pioneering founder of “poetic cinema”. His talent for portraying transcendence between the real and spiritual, without becoming religious, changed the way people perceived cinema. Influenced by his poet father, Tarkovsky always strived to bridge the divide between poetry and film. Although his new, and at the time, experimental type of cinematography was not immediately recognized, he soon became a favorite of mainstream audiences and critics worldwide. A modern example of Tarkovsky’s everlasting influence on film can be witnessed in the movies of Lars von Trier, who himself has dedicated a film to the Soviet director.